Three Days. One Sequoia Redwood Tree. One great treehouse builder. Seven Friends. 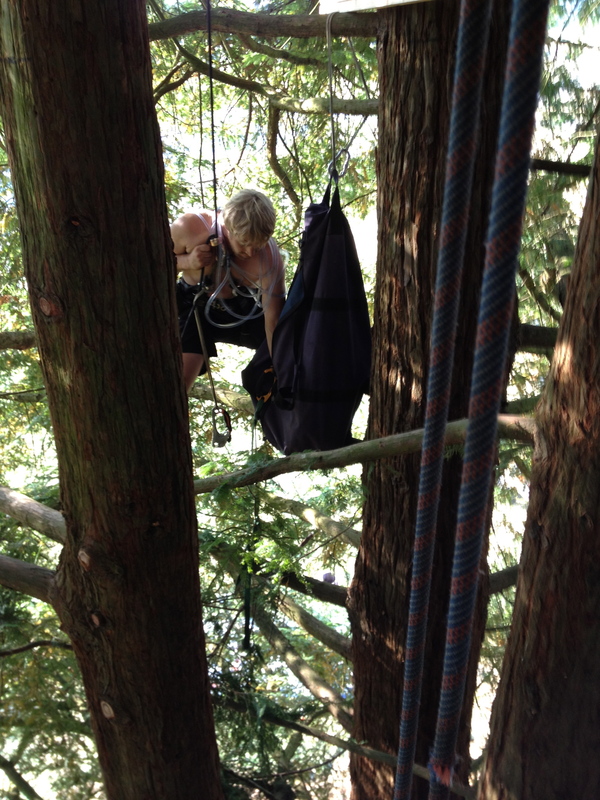 Two ropes and harnesses. 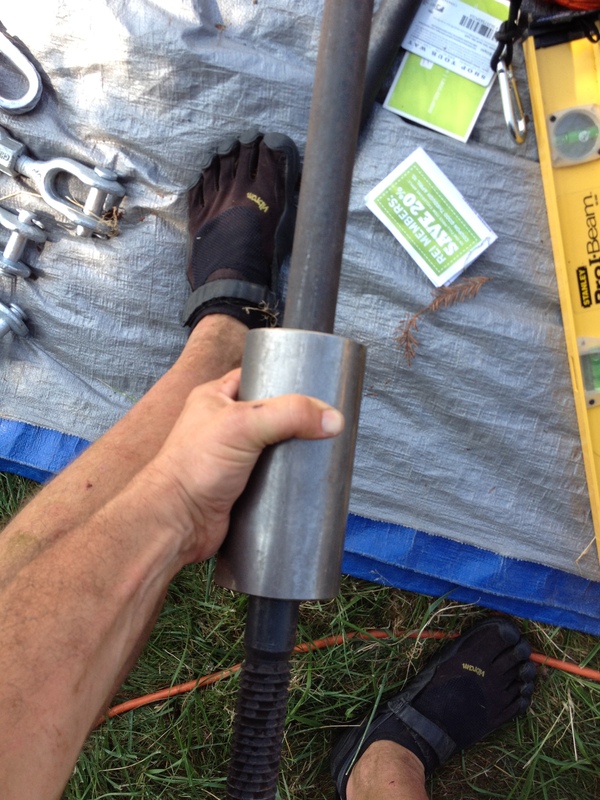 Four Tree Attachment Bolts (TABS). 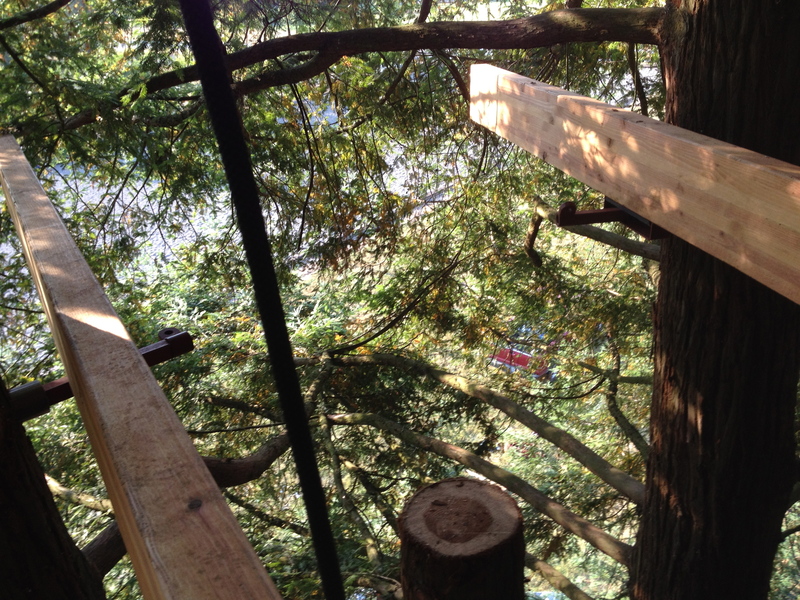 Two 15-foot glulam Beams. 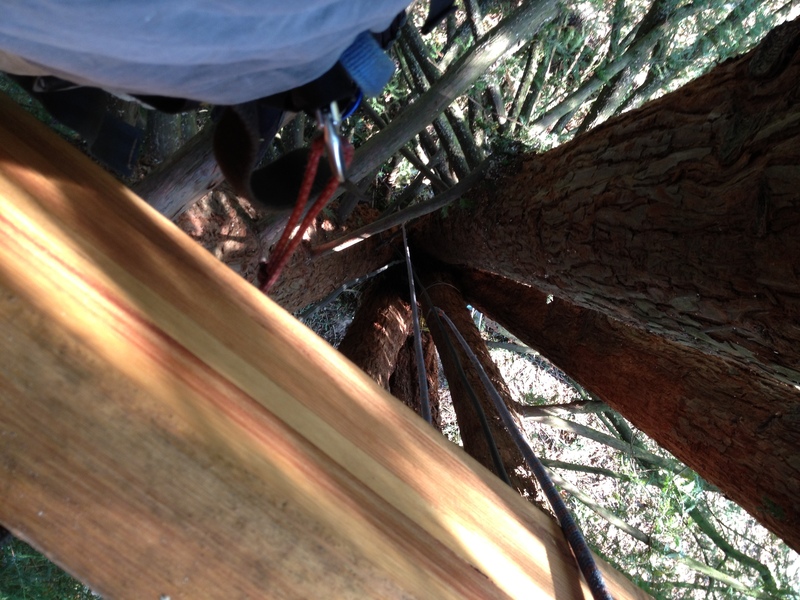 Now we have the most difficult and most important part of a treehouse 33 feet up in the 111-foot Sequoia. The base for what will be the first treehouse in the Tumtum Tree Project. This treehouse I’m calling the ‘CATHEDRAL TREEHOUSE.’ It will be a writing studio with desk and window seat on the first level, and a sleeping loft on the second level. These are custom made for building serious treehouses. What an exhilarating feeling on the third day when the second beam was lifted and secured into place!! They are nominally 12″x 4″ (6 2x4s glued together) with actual size 10.5″x3.5″. And 15feet in length. Thank you for your reply. I am planning a treehouse with similar span and trying to figure out my main beams. 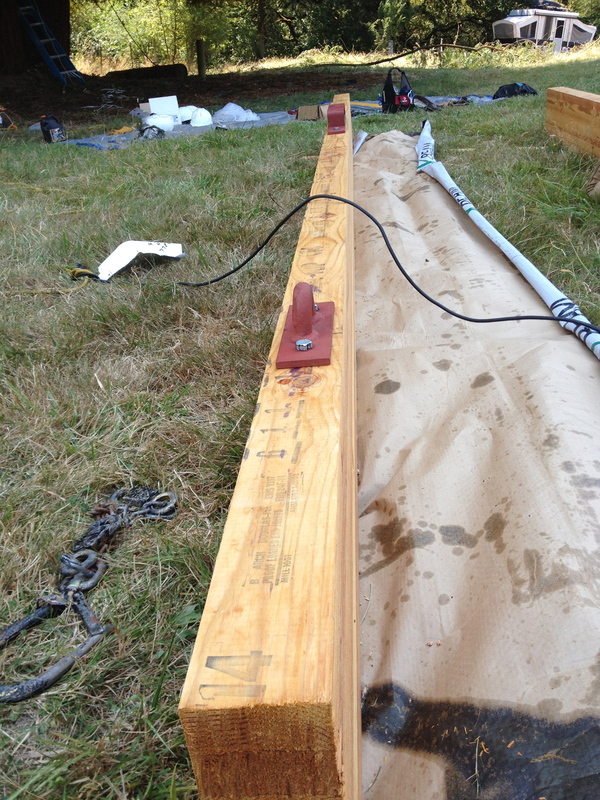 I had been tossing around the idea of pressure treated glulam but they are expensive and so will likely use 3 2×12 x16 sandwiched together with carriage bolts.